Shortlisted participants will go through a selection process where factors such as how they express themselves, financial ability, assessment tests results, and a simple self-introduction will be taken into consideration. 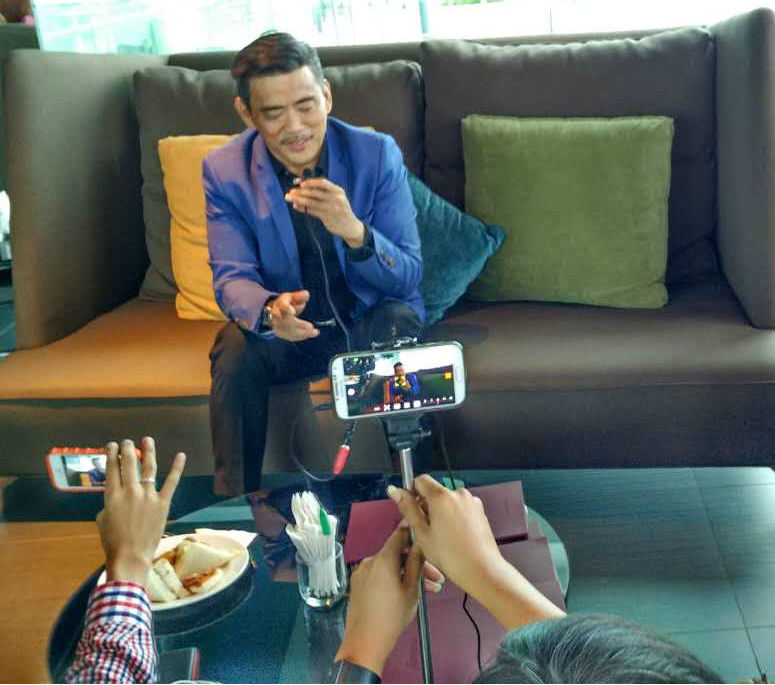 The search for the 8 Property Millionaire Stars will kick off with Tee’s talk on “Anyone Can be a Property Millionaire” on July 24th (Sunday) at 2pm to be held at the Grand Ballroom, The Garden Hotel, Mid Valley City, Kuala Lumpur. Psst....I will be given out 10 complimentary tickets worth RM50 to attend Dato Sri Gavin Tee's talk. 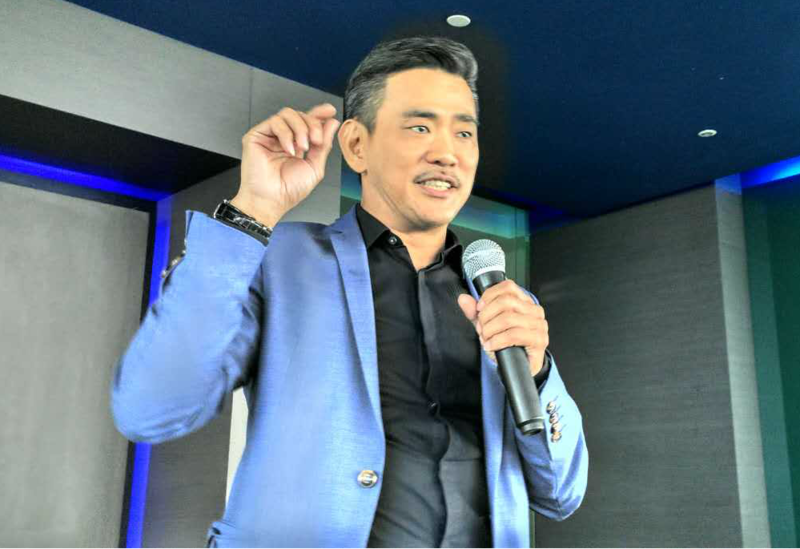 According to Dato Sri Gavin Tee " You doesn't need to be rich or smart to succeed in property investing. The whole idea of this TV programme is to show that anyone can succeed in property investing, if given the right guidance and training.” During the broadcast the participants will go throygh the entire buying process and sharing their personal live to audience. Tee added that the show is also a personal challenge for him – “to be able to mentor anyone to a point where he could be considered a property millionaire is a tall order and if I am able to do that, it means I have succeeded.” Tee will personally guide each of the 8 participants at each stage of the buying process, from the selection of properties, borrowing of loans to the signing of the Sale & Purchase agreement. The objective is to buy a property that eventually gives the greatest return within a specific time-frame. The shortlisted applicants will be placed under 8 different categories – Celebrity, Professional, Foreigner, Disabled, Businessman, Young Graduate, Retiree and Real Estate Expert. “These are ordinary members of the public who typify the particular category that they belong to, for example, the young graduate who has a strong desire to own a house and who has experienced some mistakes along the way; the businessman who owns several properties without proper management of his portfolio and who may constantly face problems renting out his properties or has rental collection issues,” Tee said. 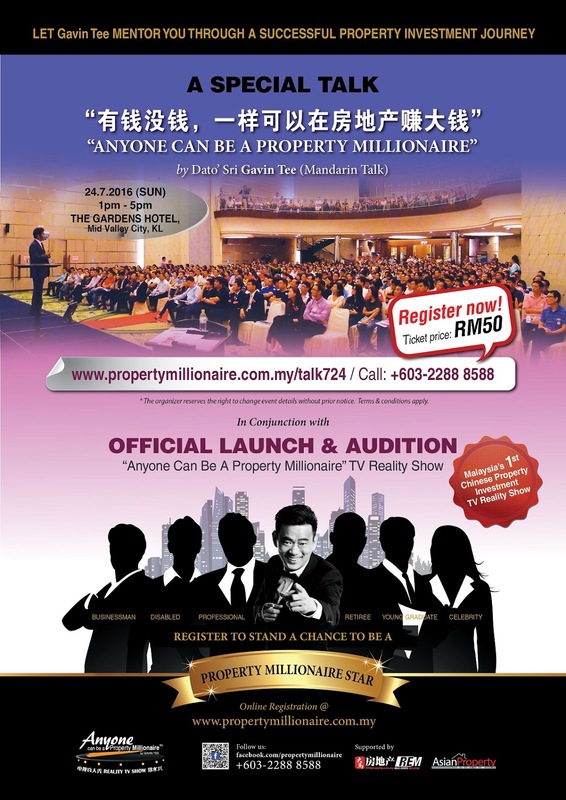 Online ticket sold at www.propertymillionaire.com.my/talk724 for RM50 and you get to meet Dato Sri in person. Alternatively, interested participants and sponsors may log in to www.propertymillionaire.com.my/talk724 or contact 03-22888588 / yeeting@swhengtee.com.my (Yee Ting). Leave your comment in below post " I want to attend Dr. Sri Gavin Tee's talk" together with your email address. I will love to share this good campaign with everyone that wish to be a Property Millionaire.